We&rsquo;ve been having a lot of fun with our Couture Invitation line this year. Here is one of our latest designs. The card features a Swarovski rhinestone monogram (each rhinestone is hand applied) and set on a beveled mirror. The invitation sits in a gorgeous silk box that is embellished with a luxurious ribbon and rhinestone clasp. This invitation is the epitome of glam! Ashlee & Casey &ndash; We got to know this couple through Haute Wedding Design, hauteweddingdesign.com, based Canmore, AB. They were a terrifically fun couple with ideas of bright, bold color and beautiful damask pattern. We created an entire suite of wedding stationary including invitations, programs, menus, table numbers, wish cards, &ldquo;here comes the bride&rdquo; & &ldquo;just married&rdquo; signs, and the most adorable place cards made-to-date! Lately we&rsquo;ve had tones of inquiries to whether or not we can create personalized stationery, and the answer is yes! We do indeed create stationery of all types, from monogrammed note cards, to personalized family notepaper, to mommy calling cards. Take a look at what we&rsquo;ve come up with recently, and be sure to let us know if you would like your own personal set. And remember&hellip; the traditional first wedding anniversary gift is paper. What more unique way to surprise your better half than with a truly plush and personal gift. As we&rsquo;ve been swamped with summer wedding season, our blog has somewhat taken a backseat. But&hellip; we&rsquo;re back! 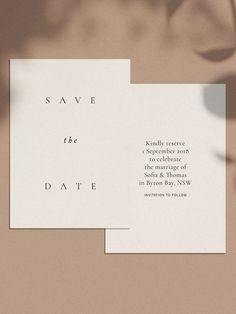 To give you an idea of what we&rsquo;ve been up to lately, the next few week&rsquo;s posts will feature a few examples of some of our favorite invitations and their &ldquo;suite&rdquo; of matching items. Christine & James – A great couple wanting a unique & modern style for their intimate wedding set at an Okanagan vineyard. This custom design started with a unique monogram, bright crisp linen and &ldquo;citrine&rdquo; paper &ndash; two of our faves. The bright green accent made the save the dates, invitation, menus, wine bottle tags and thank you cards pop!